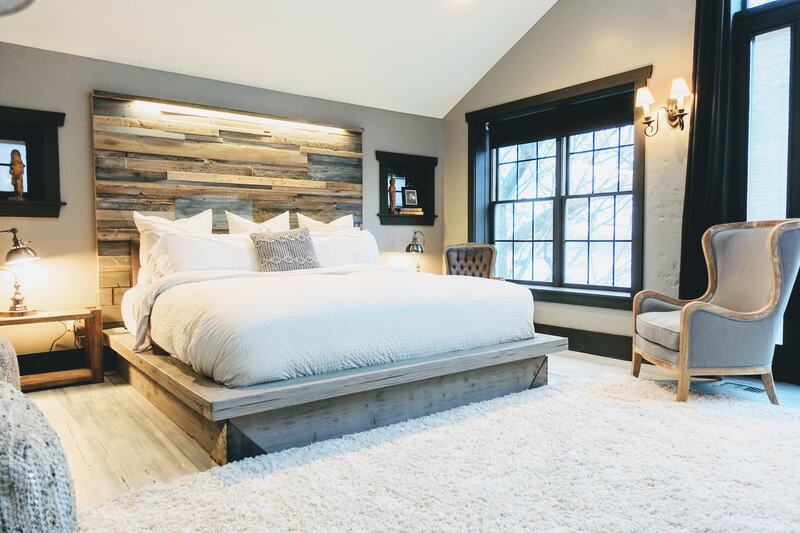 This gorgeous platform bed will entice your senses with the texture, mood lighting, artistic wall Art/ headboard. It begins by stripping down and giving the wood a noticeably pitted and smoothed natural feel. 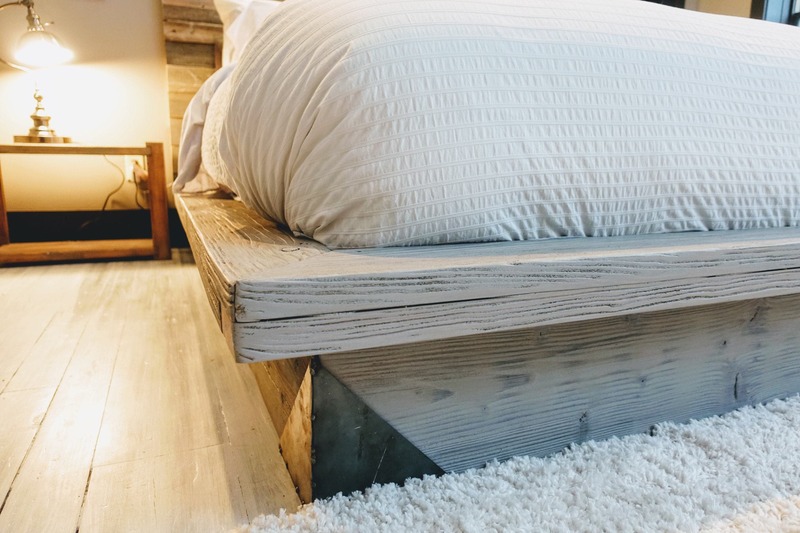 The solid wood bed frame is designed, built, and finished with a modern rustic beach feel in mind. 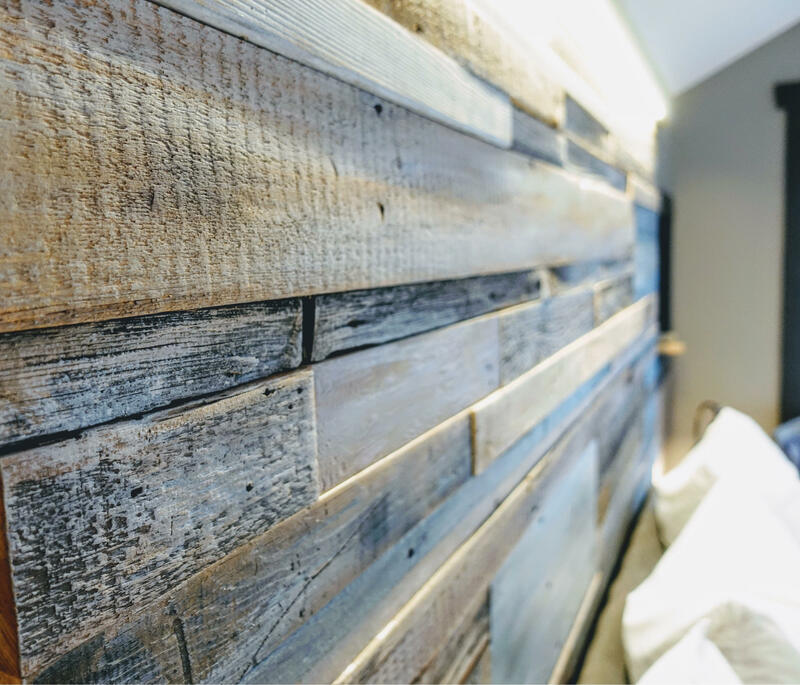 Hand weathered, distressed 1.5” thick fir wood with a customized wax finish to mimic wood afloat at sea while not sacrificing strength. Very solid and sturdy. 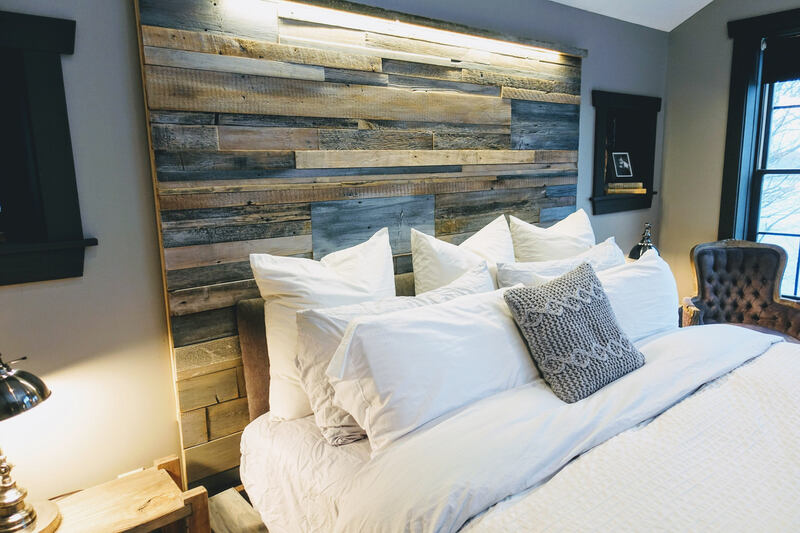 Headboard- scraps of reclaimed wood handpicked with an artists eye giving notice to the variations of size, texture, color and beauty of each piece. 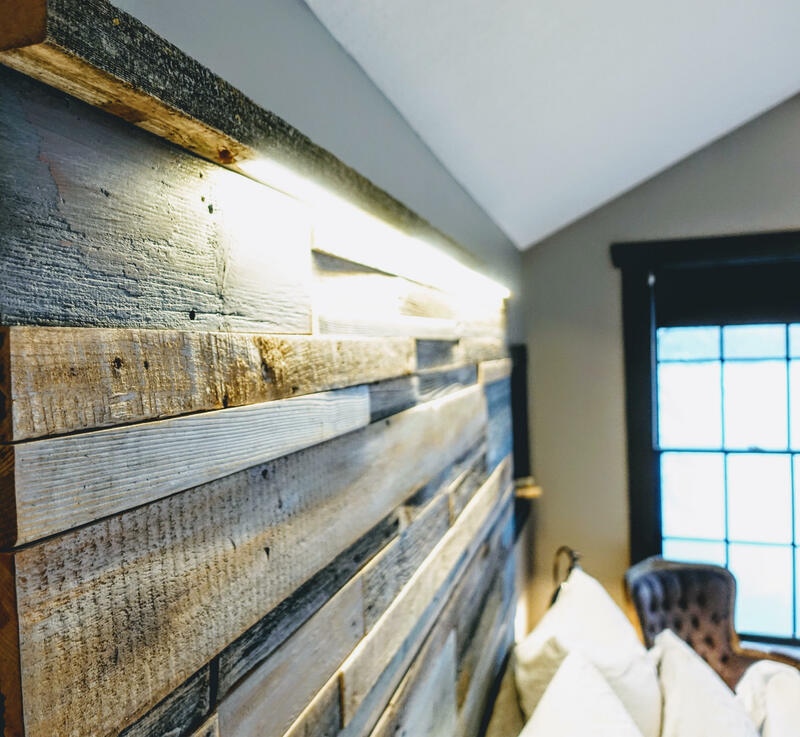 Further highlighted with a light bar featuring dimmable lighting ambience. Wall mounted by a single cleat(provided) to provide a flush secure installation. 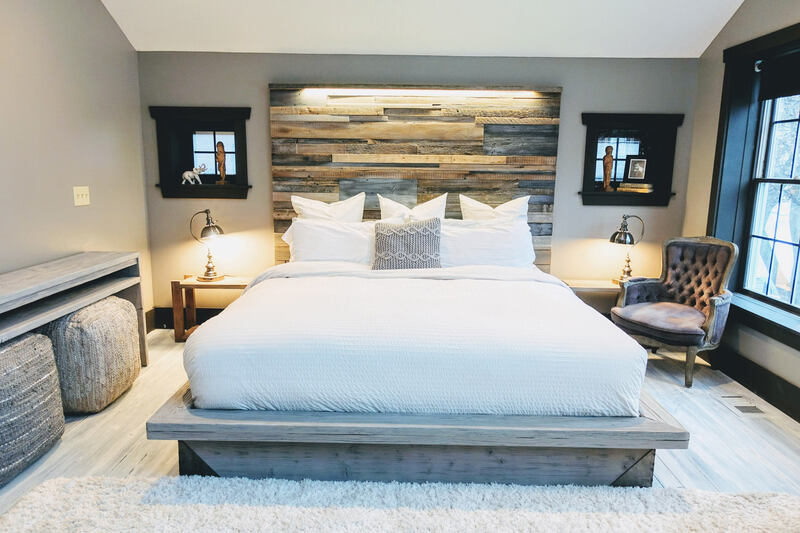 Overall headboard/artwork height pictured is 60” options in drop down menu allow for different sizing to best suit your space. 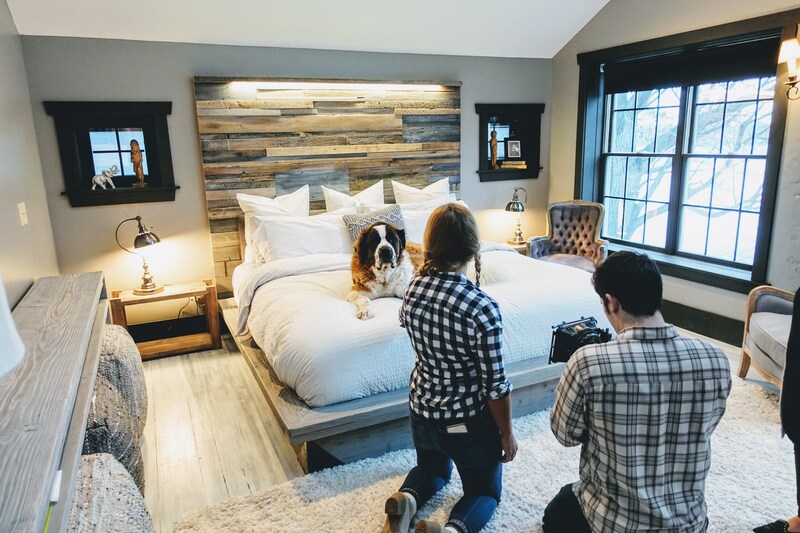 Slats to hold mattress so you may bypass box spring are included and allow 2-3” between boards to provide airflow for your mattress. The Platform bed frame base will sit 10" tall with the slats to hold mattress at 9" tall. Includes 2 side rails, a foot rail, head rail, a center beam(n/a for twin) (2 centers for a King and CA King), and 1x slats. 2 Steel corner accents.